Hello fellow book lovers, for this blog today I have a review on the third book of the Wendy series by Colleen Oakes. I request the Arc off of NetGalley, not knowing that Wendy series is actually three books total. 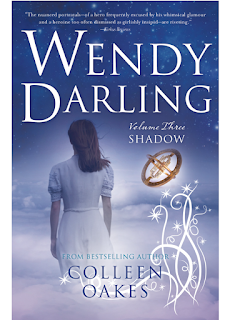 This review is on the third Book Wendy Darling: Shadow. I will be buying the other two books and reading them so when this book is release on July 18th 2017, I can read the whole series. I love Colleen Oakes books because they are base on famous fairy tale characters like this series is about Wendy from Peter Pan and then she also has a series about the Queen of hearts from Alice in wonderland. So lets start the review with the summary of the book like always. This book opens up with Wendy and Peter pan floating around in the skies, but as the story continues you come to understand that Wendy hates Peter. You also learn that Wendy is working with Captain Hook to defeat Pan. Pan is convince that he and Wendy will be parents to the lost boys but he really uses the Lost boys as Slaves. Peter is very cunning and charming that it he can easily convince people to do what he wants. Many believe that a War will happen between Peter and Hook to save or end Neverland. Then there's Tinkerbell who supports Peter and his craziness. she believes herself to be in love with Peter. Wendy end up back with Pan because of her brother John darling who betrays her after all she has done to save him. Peter is clearly a crazy magic man who believes everyone should love him, and if he doesn’t have their love, then he goes off into madness. Meanwhile Peter holds control over Wendy family and love of her life. So who will win this final battle of Magical power. Well I can’t clearly tell you everything other wise that would be Spoilers sweetie. So I suggest to know the final battle you go buy Colleen’s Wendy Darling Series as soon as possible. I love Colleen writing of Neverland and Wendy darling, it reminds me of Once upon a time. Peter Pan reminds me very much of Once Upon a time Peter Pan, which is an evil guy set out to control Neverland. Except Once Upon a time Peter Pan was a father and wanted to be young forever, thats not the case with Colleen's Pan. Colleen Pan is just a psycho who wants to control everyone and change them to be like how he wants them to be. I do believe that Oncer Fans would love this series though. I really love this book although it is the third and its the only one I read so far because of how much its like Once Upon a time, yet different. I love how in Colleen story she makes “Wendy the hero.”I love how Colleen takes a classic like Peter Pan and just gives it all of this awesome evil magic that needs to be fix Wendy. 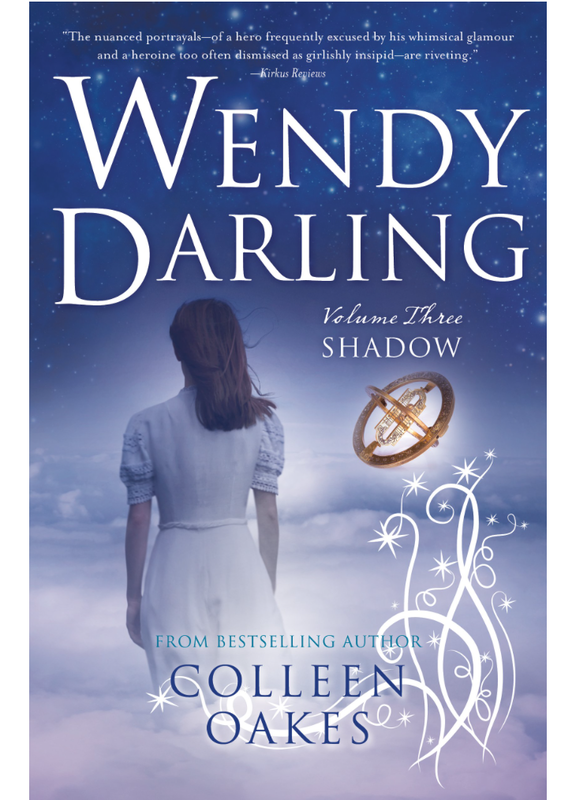 I just really love different versions of classic fairy tales, like this more modern version Colleen has created with the Wendy Darling series. Usually you will hear different modern stories about Peter or Tinkerbell, but Wendy and Hook are not often the focus of their own stories, so I love when the author takes one of the supporting characters and makes them the main lead. I will for sure be reading the rest of this series, to enjoy this third book even more now. This series will be one of my favorites for years to come, I can already tell. Now as for the rating of this book, I rated it a four out of five stars. I do believe it will become a five star book when I read the whole series which I plan to buy myself. As I said I love how Colleen has given us a modern take on a classic fairy tale while using one of the supporting characters to create this new tale. She took a supporting character like Wendy Darling who is rarely focus on and created a new story where she is this badass female heroine. I love this beautiful story idea. I now can’t wait to read more of Colleen books and I am so glad I had the chance to read this Ebook Arc. As for the cover of this book, it is beautiful. I love how its all blue like the water would be, it really does make you think of magic. I honestly can’t wait for this book release date, so I can have the whole series to read. This Ebook also makes me now want to read Colleen other series, Queen of Hearts so bad. I hope you all enjoyed this book review, please come back for more reviews soon. I usually try to have a new book blog review up every week. As always all links for the book, author and my social medias are listed below.